Will Cambridge Boost Affordable Housing? I’ll be visiting three cities this week and next that I write about in Generation Priced Out: Cambridge, NYC and Washington DC. Each offers lessons for activists in other cities. The problem is clear: many Cambridge residents and council members who claim to support greater inclusion and racial diversity oppose expanding housing for those now priced out. I describe in Generation Priced Out how one current council member even argued during his campaign that increasing density in Cambridge would devastate the city like the 1941 bombing of Pearl Harbor. Cambridge is now embroiled in an intense conflict over a proposed Affordable Housing Overlay. The measure would enable builders of 100% affordable housing to increase density, reduce parking, and produce more units. Op-ed author Fred Meyer also said the housing overlay would cause Cambridge to “become more like the most-crowded sections of, say, The Bronx.” And he need not say that the Bronx is overwhelmingly non-white. (Read ABC’s Saul Tannenbaum excellent response to Meyer, “Strangers are neighbors you have yet to meet.”). Meyer’s words will sound familiar to those in Austin, Seattle, Berkeley, Portland, Minneapolis and in virtually all of the cities I write about in my book. Such exclusionary, anti-newcomer language is hard to reconcile with Cambridge’s progressive politics, but support for affordable housing represents a progressive and generational divide. 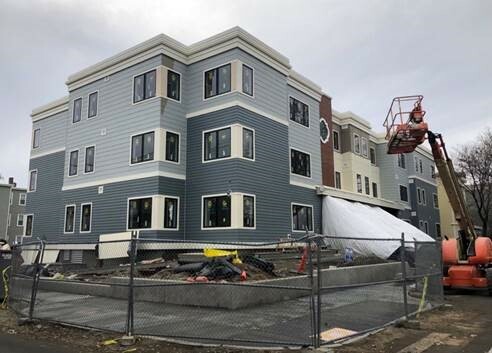 Cambridge’s affordable housing overlay—which echoes San Francisco Mayor Breed’s proposed November 2019 charter amendment and Councilmember Greg Casar’s “Affordability Unlocked” proposal for Austin—would likely prevail if subject to majority rule. But Massachusetts instead requires a supermajority, 2/3 vote for cities to revise zoning to increase housing. The state’s Republican Governor backed a shift to majority approval last year but enough “progressives” found reason to defeat the bill, keeping the 2/3 requirement in place. No wonder why blue cities have an affordability crisis. I’ll be discussing strategies for expanding housing affordability in Cambridge and Greater Boston at Porter Square Books on Thursday, March 21 at 7pm. I will be interviewed by nonprofit housing developer and ABC founder Jesse Kanson-Benanav. The story in my book about the battle to build affordable senior housing in New York City’s upscale Nolita (North of Little Italy) neighborhood has become major news: the New York Times has run two articles in the past two weeks describing efforts by wealthy neighbors to stop the project. I explain how affordable housing in upscale Nolita came about in my book but the short answer is 1. A courageous local Councilmember in Margaret Chin. 2. A committed nonprofit in Habitat for Humanity NYC, and 3. Grassroots activists in groups like @OpenNYForAll that gave powerful testimony for the housing in highly contentious public hearings. I’ll be doing a book event with supporters of Haven Green at the Habitat NYC offices on March 22 starting at 4pm. New York City is also hampered by the continuation of Mayor Bloomberg’s elitist housing policies under “progressive” Mayor Bill de Blasio. My book describes an epic battle waged by Crown Heights tenants, the Crown Heights Tenants Union, New York Communities for Change and other groups to stop luxury housing backed by the mayor at the former site of the Bedford Union Armory. De Blasio’s support for luxury housing on public land betrayed the African-American and Latino residents who worked hard to elect him in 2013. In battling the mayor at the Armory these activist groups demonstrated the strategic savvy they later exhibited in stopping Amazon from coming to Queens. I will be discussing NYC housing politics at Greenlight Books Prospect Lefferts Garden store on Monday, March 25 at 7:30 pm. I make it clear in Generation Priced Out that the vast majority of tenants facing affordability problems need federal assistance. The federal government has abandoned affordable housing funding since the late 1970’s and today 75% of those eligible for such aid do not get it. The National Low Income Housing Coalition (NLIHC) has scheduled its Policy Forum for March 27-29 to coincide with grassroots efforts to increase such spending. March 29 will be a lobby day. I’ll be doing a panel on “Development Without Displacement” with Austin City Council member Greg Casar on March 27 at 4:00pm. The conference offers a great opportunity to test the DC clout of the housing movement, and presidential candidates like Elizabeth Warren and Kamala Harris are expected to speak. I don’t write about Washington DC land use battles in my book but will be applying my affordability strategies to its rapidly gentrifying neighborhoods. Fortunately, the DC area is within the purview of Greater Greater Washington one of the most effective urbanist groups. Last week GGWASH announced that Alex Baca, a widely respected transit and housing activist, has joined its staff as an housing organizer. That is great news for the region and for Greater Washington. I’ll be talking about Generation Priced Out at Busboys and Poets on March 28 at 6:30 pm. Randy Shaw is Editor of Beyond Chron and Director of the Tenderloin Housing Clinic. He is the author of Generation Priced Out: Who Gets to Live in the New Urban America.